Today's freebie from Lectura Para Niños is 14-page sample of their Advanced Phonics Center Homework book. For those of you teaching your children to read in Spanish, it is a wonderful treasure! 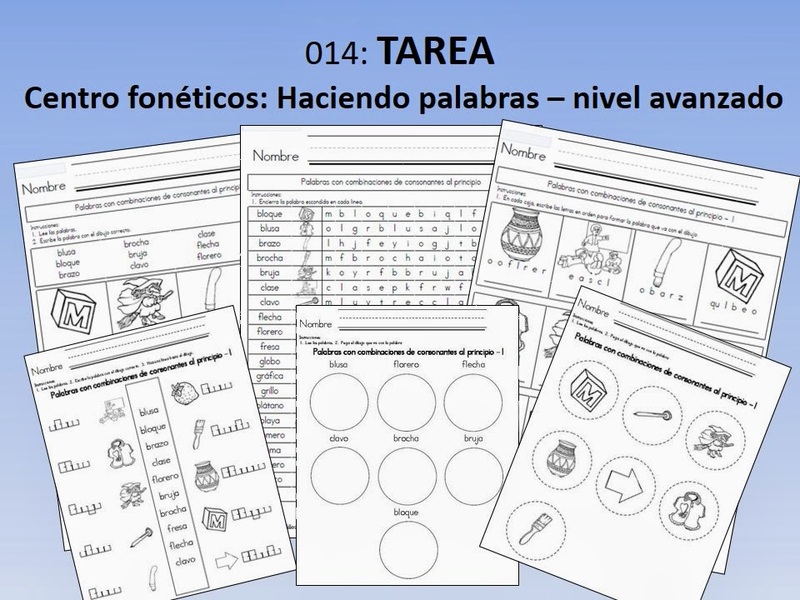 Created to accompany Lectura Para Niños's Phonics Center, the entire homework book has five parts. In each mini book, there are 1-3 pages of homework for each reading concept you are working with. If your student is struggling with closed syllables, Leah says she would practice first with the phonics center – advanced, with closed syllables, and pull the practice pages from the following mini books. The student reads the words in the box above and writes the word below the corresponding picture. Find the hidden words from each theme. Unscramble the words from each theme. If you like the freebie, you can find the entire book here. The phonics center can be found here. REMEMBER: You can find more free downloads from Lectura para niños here on MommyMaestra.